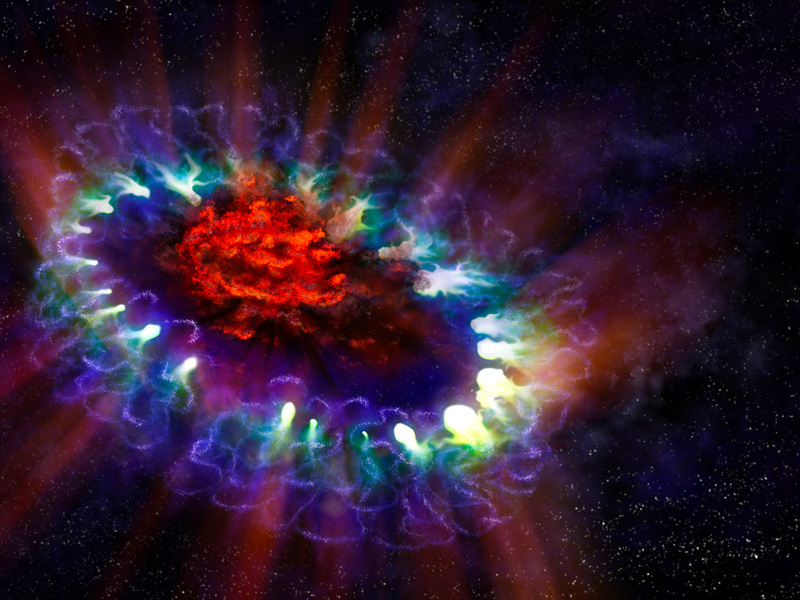 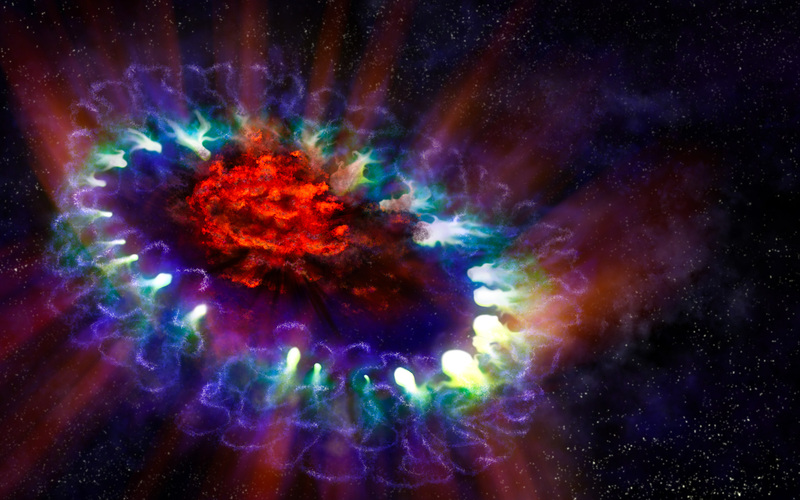 This artist's illustration of Supernova 1987A is based on real data and reveals the cold, inner regions of the exploded star's remnants (in red) where tremendous amounts of dust were detected and imaged by ALMA. This inner region is contrasted with the outer ring (lacy white and blue circles), where the blast wave from the supernova is colliding with the envelope of gas ejected from the star prior to its powerful detonation. 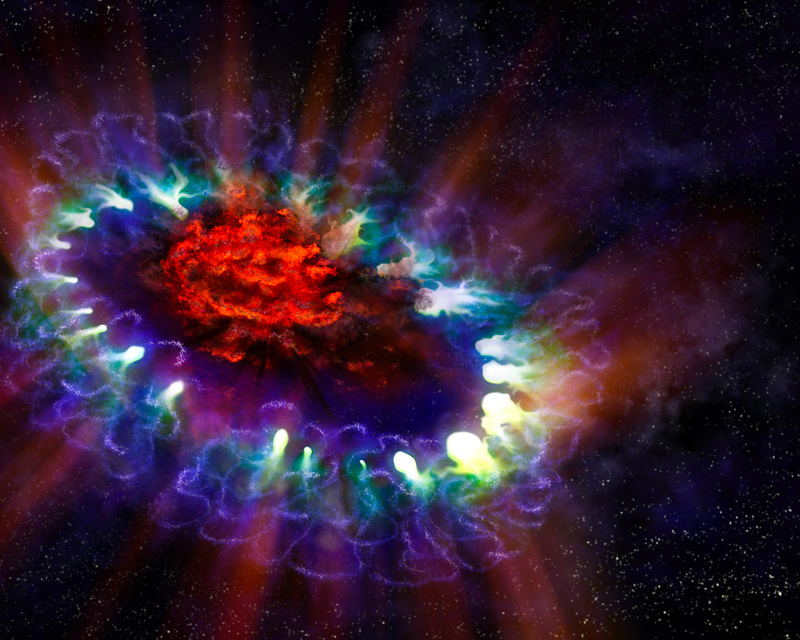 This ring was initially lit up by the ultraviolet flash from the original explosion, but over the past few years the ring material has brightened considerably as it collides with the expanding shockwave.